Happy St Patricks Day! 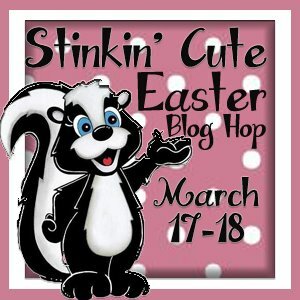 And welcome to the Stinkin Cute blog hop! If you arrived from Raven's blog then you are in the right place! If not and you would like to start at the beginning then please click here to visit the Stinkin Cute blog. Here is the order again in case you get lost..
Stinkin Cute Paper Piecings has the CUTEST files!!! Here is a look at my card.. 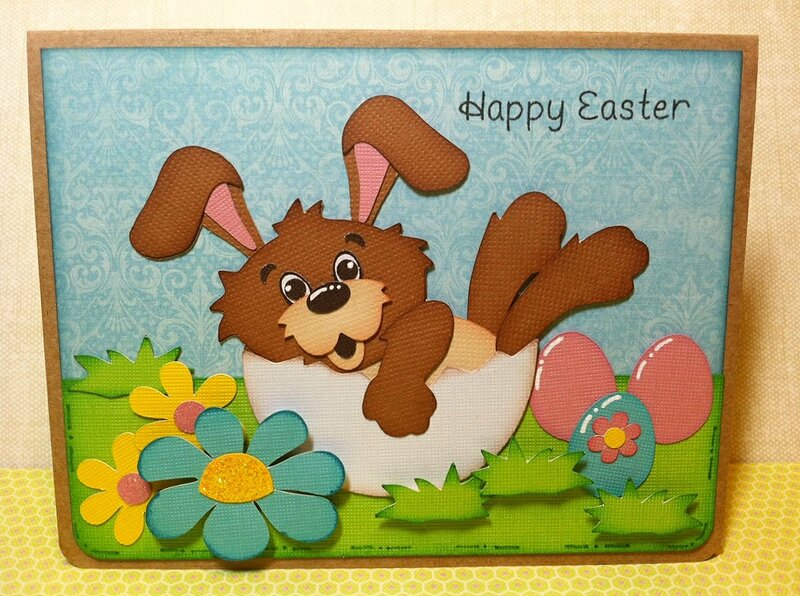 I used Easter Set Patterns for this cute little Bunny in the egg. The little eggs, flowers and grass were also in the file. Sooo cute!! One of my favorite cards I've made in a long time!! The stamp is from Jaded Blossom "Bunny Poop"
BLOG CANDY! Yes there is blog candy so make sure to comment on all the blogs! One lucky winner will win $25 to the Stinkin Cute Paper Piecings store! Whoo hoo! Take a look at all the adorable patterns here!! Use coupon code SPRINGHOP for 40% off your order!! How awesome is that?!?! I have some more files on my wish list that im buying this weekend with that coupon code!! So cute! Love the bunny in the egg shell. Love the bunny, great card! SUper adorable Candace!!! I love all the detail on your card!!! Thank you for being on this hop!!! Adorable Candace!!! I love this site. I need to check it out more now !!! Your card is so Stinkin' fun!!!! Love all the colors and dimension!!! Really cute Candace! This card is so perfect! I love the colors on it. Super cute card!!! :) I love that the flowers & grass were included in the file! Love all the colors! super cute!! I love the card, you did an amazing job. It makes me so excited for Easter. Thanks so much for being part of this hop. You did great...love all the detail that went into creating your paper piecing and the color choices!! Cute!! love the eggs with the glossy coating..now i'm off to go shopping for all those files..
Love the bunny in the egg cup. Just so cunning. What a sweet bunny for Easter. Love the colors, too. omgosh so loving this blog hop.. lots of awesome creations.. I love this!! What a beautiful card, I love the colors they just pop!! I really liked all the projects in this hop, but this is my FAVORITE!! Love love love Candace. This is one perfect Easter card. Love everything about it. I just love love your card, so cute,thank you so much for sharing it. Adorable card. I love all of these cute animals used throughout this hop. Everything been so cute. Thank you for sharing. I love this card...the dimension you added with the grass and other pieces make it that much more awesome! What a cute card! That bunny in the egg is adorable! Candace, your card is absolutely Adorable!!! I love that little bunny just hanging out in an egg shell, too cute!!! BTW, love your little owls on your blog! I love this card, i know it took awhile but really way tooo cute !!!! Oh this cut is too fun! I'll have to look in the shop. Your piecing is very well done--rabbit is so 3D. Candaceeeeeee this is so amazing! I love this so much!!!!!! Thanks Candace for the great hop. It was a lot of fun. I appreciate you all for participating. Such a great hop and another great project from you! Such a sweet card! Thank you for sharing.